Mom said a new kid moved in next door, so Benny does what any normal boy would do. Spy through a knothole in the backyard fence. And since Penny is a normal little sister, she wants to look too. Penny hopes the new kid is a girl because girls are nicer. Benny disagrees. “Girls are cry-babies. I hope it’s a boy!” he says. Trying to get a closer look, Benny ends up falling into the neighbor’s yard. Penny follows. They discover big and scary footprints – monster footprints, they’re sure – and Benny’s missing pail. When Benny takes back his pail, there’s an encounter with the new kid. Mud is thrown, tears are shed, names are called, and a mistake is discovered. 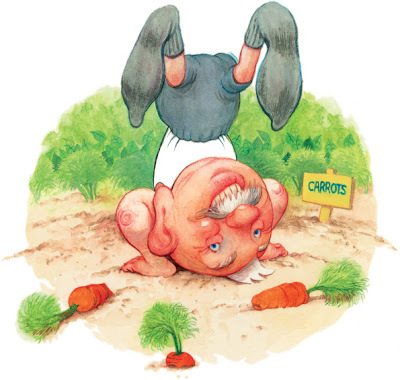 Once again Toon-Books have published a winner – literally. Benny and Penny in the Big No-No! 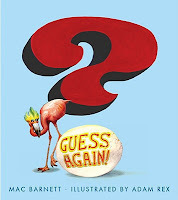 is the winner of the 2010 Geisel Medal for beginning readers. This is the second book in author Geoffrey Hayes’ Benny and Penny series. This simple graphic novel leads readers through a series of choices Benny and Penny make. Should they cross the fence into someone else’s yard? Should they take back what is rightfully theirs, even if it means facing a monster? Most importantly, can they admit a mistake? Beginning readers will enjoy Benny and Penny in all their adventures including the first book in the series, Benny and Penny in Just Pretend, and the upcoming Benny and Penny in the Toy Breaker. Where the Mountain Meets the Moon is one of those books. At first it seems a simple story. Minli lives with her parents in a small, poor village beside the Jade River at the foot of Fruitless Mountain. In order to seek a way to bring fortune to her family and village, Minli leaves. She wants to find Never-Ending Mountain and ask its resident, the Old Man of the Moon, how she can change her family’s fortune. Basically, that’s the story. Added throughout the novel are stories told by Minli’s father, fellow travelers, characters she meets on the way, and Minli herself. But they’re not just stories added to color the seemingly simple novel. The first story, The Story of Fruitless Mountain, begins on page four, and attentive readers will recall it at the book’s conclusion. There’s also plenty of action. Secret entrances through hidden gates, dangerous encounters and daring escapes, gifts from kings and statues that come alive, dragons, talking fish, overprotective but easily-fooled monkeys … and Minli’s journey is filled with them. An artist must have a distinctive, memorable style for my seven-year-old to recognize the similarities between illustrations in different books. So congratulations to Marla Frazee. Seven-year-olds in Wisconsin recognize your distinctive style, and their parents appreciate how it so engages their seven-year-olds. But let’s not give short shrift to Liz Garton Scanlon’s text. All the World, written in verse, shows the smallest parts of our world and our selves and slowly moves outward to reveal how each of us and each of the small parts around us fit into the world as a whole. “Rock, stone, pebble, sand …” starts the first page showing two siblings on the beach. “Body, shoulder arm, hand …” continues page two, showing how the siblings interact with the beach. “A moat to dig, a shell to keep …” is read as the perspective moves to see Mom, Dad, and the truck waiting to take them home. “All the world is wide and deep.” So finishes the first rhyme. In the final illustration of the first rhyme, readers can now see the ocean, the shore, others on the beach, the family truck whisking the family down a dusty road toward the village in the distance. 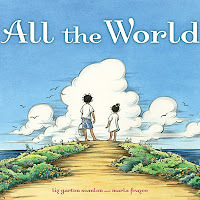 From two kids and a bucket of rocks to the entire ocean, All the World shows how all the small parts make up the whole. Neighbors in a garden change to an entire vegetable market. One child hanging on a branch becomes a family picnic under a tree. “Table, bowl, cup, spoon” becomes a warm, crowded restaurant on a cool night. New column in the newspaper today concerning patience, so it would probably be inappropriate to make anyone wait any longer for the links. Here's a link to the column and to the printable version. And thank you to everyone for stopping by Help Readers Love Reading. I like books that get your attention right from the start, and lines like “Mom says, ‘Billy Twitters, clean up your room, or we’re buying you a blue whale,’” do exactly that. They get your attention. Honestly, this book had me with the advertisements inside the front cover. Seaman Stubb’s Do-It-Yourself Sailor Tattoo Kit sold me on their “Hula Girl” design, and what self-respecting book reviewer could pass on a mail order course from Professor Pequot on Monkey Training or Scurvy Etiquette? But this book isn’t about tattoos or monkeys or vitamin C deficiency. It’s about Billy Twitters, a boy who doesn’t clean his room, doesn’t brush his teeth, doesn’t finish his baked peas … and does end up with a blue whale. And all the responsibilities that come with it. Billy needs to take his blue whale to school. He needs to feed it. He needs to play with it, clean it, and check it for barnacles. The book follows Billy through Day One of blue whale ownership. In the end, Billy does learn responsibility. He also learns hanging out inside a whale, at least his blue whale, isn’t nearly as bad as that guy Jonah made it out to be. 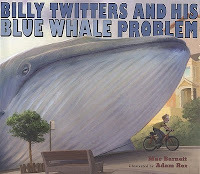 This is what makes Mac Barnett and Adam Rex’s book such a winner: Billy Twitters and His Blue Whale Problem will have both kids and adults laughing. 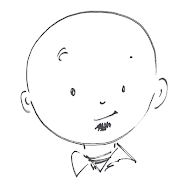 And it’s books like Billy Twitters – books that kids and adults enjoy together – that truly Help Readers Love Reading! I generally don’t follow all the pre-Caldecott buzz, but apparently there has never been less suspense than in January of 2010, when everyone and their mother’s librarian expected Jerry Pinkney to take home the medal for The Lion and the Mouse. The Caldecott Medal is awarded for a book’s illustrations. In fact, in the official Caldecott Terms and Criteria, the word author only appears once. Artist appears eight times. 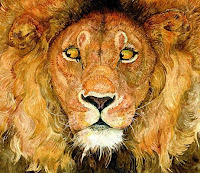 And from first glance onward, it is easily apparent that Jerry Pinkney is an artist by anyone’s definition. Readers will be able to move through the book quickly, but The Lion and the Mouse begs for an immediate reread. Right from the title page, where the mouse finds himself in paw prints larger than he is, readers will study the remarkable illustrations that reveal more details with each look. Nearly wordless, the pictures are left to tell the story. Most readers will be familiar with the story already, and my guess is that children who encounter the story for the first time via this book will have an adult leading them through it. But I wonder if a familiarity with the story is necessary for kids to understand the book independently. For example, kids will see the mouse climb on the lion and see that the lion has captured the Mouse, but why is the lion so mad, and why does he suddenly let the mouse go? More importantly, is it even necessary to know the mouse woke the lion up from a nap? Is the conversation about how someone so small could never help someone so big needed? Do readers need to hear the mouse plead his case? Maybe the fact that the lion lets the mouse go is reason enough for the Mouse to free the Lion from the hunter’s trap. Maybe a simplified story – lion frees mouse, mouse repays debt – works just as well as the one with a moral about friendship. 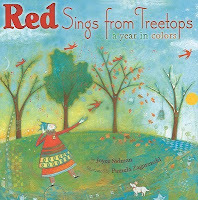 I am a big fan of This Is Just to Say: Poems of Apology and Forgiveness, the first collaboration between author Joyce Sidman and Pamela Zagarenski, so I was eager to get read Red Sings From Treetops: A Year in Poems, their latest and 2010 Caldecott Honor book. Both books have similar illustrations – part painting and part collage – and I willingly admit, it’s personally a bit frustrating that my favorite of the two isn’t the one with the medal on the cover. Adding to the illustrations in Red Sings from Treetops are the changes in text. The book starts in spring and progresses through the seasons highlighting the colors of each. Each color word is bold and printed in its own color. Some are highlighted to set them off from backgrounds of the same color. Spring features red singing from treetops, the white of hail and lightning, and green everywhere. The yellow of the summer sun melt everything and numerous variations of blue describe water. Black describes summer nights. Brown takes over for tired green in fall when orange also arrives. Black and white take center stage in winter, but speckles of red, blue, and even green all make appearances to those who look hard enough. Teachers could certainly use Red Sings from Treetops when studying the seasons, and art teachers could have a field day looking for colors in all parts of life. I have a healthy respect for poetry even if it isn't a personal favorite, but recommending Red Sings from Treetops is easy despite my literary preferences. The illustrations are deserving, and the text is a colorful walk through the year, especially for people who live in areas where all four seasons firmly stake claim to their own portion of the year.